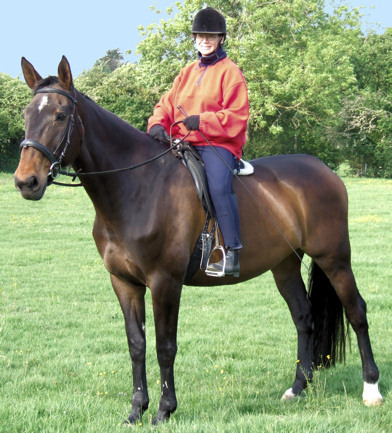 My name is Lee Clatworthy and I have been riding for thirty years and working with horses professionally for 10 years as a freelance classical horse riding instructor. Depending on travelling time and distance from Winchester / Bishopstoke, Hampshire, I would be more than happy to travel to you for lessons on your own horse as long as you have at least a suitably flat field and adequate lighting in winter. Please contact me to discuss your requirements – discounts would be possible if there was more than 1 lesson at a yard. My classical riding training is continuing with internationally renowned classical seat specialist Heather Moffett, founder of Enlightened Equitation. I currently hold the Enlightened Equitation Level II Teaching Certificate. Click here to find out more about Heather & EE. I also have my BHS AI along with appropriate insurance, first aid and an enhanced DBS clearance. If kick, pull and hit it harder are regular parts of your riding vocabulary then I am probably not the riding instructor for you, that is unless you are trying to find a different, kinder and more effective way to ride a horse. If you are looking to ride in harmony with your horse, where you work with them rather than against them, with less effort on both parts, then you have found the right riding instructor for you. Where riding is concerned, my personal philosophy is less is most definitely more. To read more about my training philosophy please click here.